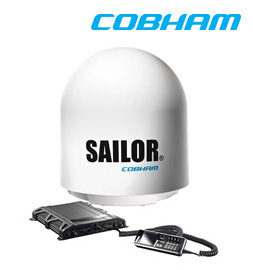 The SAILOR 500 FleetBroadband is designed for vessels and platforms with demanding requirements for connectivity. It meets the critical needs for voice and data communication of maritime and offshore professionals globally but despite its power, is a compact, lightweight solution. It provides extensive functionality including full access to bandwidth-hungry IP applications, broadband internet/intranet, e-mail, secure VPN and nine simultaneous voice lines.